The students will read a text on eating habits/ healthy food. 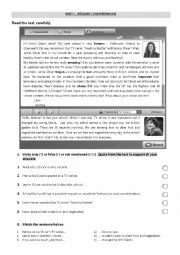 They will also do some comprehension exercises; vocabulary and grammar (past simple, adjectives)exercises. Students will read a text about a family. Do some comprehension exercises and then do several exercises concerning the ver to be, to have got and the possessive case. Finally, they will do a writing exercise on physical description. Students will have to read a text concerning technology and do a few exercises related to the theme. The students will read and do some exercises concerning the text. they will also practise the past simple and question tags. Writing activity - daily routine. 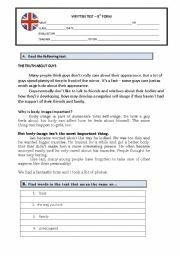 The students will read a text concerning the body and appearance. They will do a few comprehension exercises. Then they will do exercises mainly about the Past Simple and he Present Perfect. An exercise including reading and comprehension. 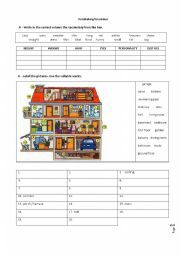 Students will do several vocabulary exercises as well as some grammar ones. 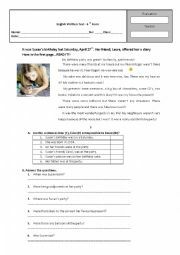 Students will read a small text and answer questions on it. 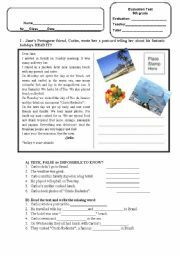 Then, they will have to do the given grammar exercises as well as a writing activity. Students will identify different classroom objects using the prepositions of place. It�s a funny way, I guess, to understand and practise some of the main daily actions. Students identify different rooms in a school and practise the demonstratives. 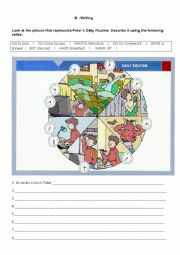 This is a second part of an exercise concerning daily routine. this time pupils will mainly practise the interrogative form. 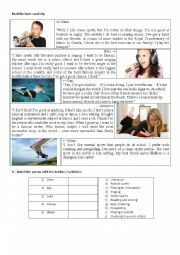 Students wiil know about a girl�s daily routine and practise the present simple. 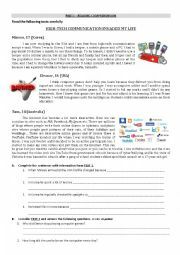 It�s an elementary PPT for 6th graders. 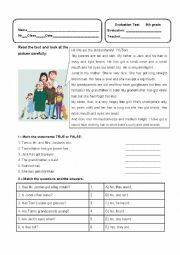 The pupils will do some oral exercises earing in mind all forms of regular verbs when using the past simple tense. It�s a simple PPT. Hope it�s useful. 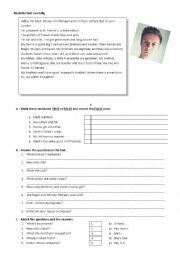 Students will learn the verb have got and they will also practise the personal pronouns. The students should be able to describe each picture and guess what job is it. They can also say what do the people in the picture do. A PPT to help enlightening on the matter and to explore related vocabulary.